Ford has become the first carmaker to formulate and test new foam and plastic components using Co2 as the basic raw material. Ford claims that these materials will find their way into the production vehicles in the next five years. Ford's foam formulates up to 50 per cent of CO2-based polyols and continues to show real promise while going through rigorous automotive tests. The company intends to use this foam for seating and underhood applications, adding it to the company's stable of sustainable materials. Soybeans being turned into seat foam, kenaf being used in door bolsters, and recycled T-shirts and denims being made carpets are some of the company's past successful use of sustainable materials. 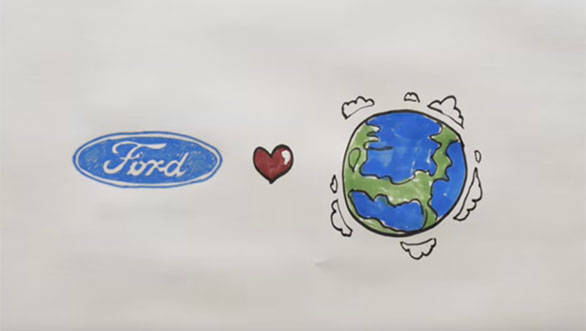 Debbie Mielewski, Ford senior technical leader of sustainability, says, "This technology is exciting because it is contributing to solving a seemingly insurmountable problem  climate change. We are thrilled to be leading the charge towards reducing carbon emissions and the effects of climate change." Ford began working with several companies and universities in 2013 to find applications for captured CO2. Among them is Novomer which produces innovative materials using the captured CO2 from manufacturing plants. The New York-based company even produces polymer that help in formulating foams and plastics that are easily recyclable. "Novomer is excited by the pioneering work Ford has completed with our converge CO2-based polyols," said Peter Shepard, chief business officer, Novomer. 2.4 million pounds of CO2 are being released into the atmosphere globally, per second. Using the foam would limit the firm's dependence on petroleum in its cars while increasing the company's overall environmental friendliness. Petroleum use could be reduced by more than 600 million pounds annually.